Pay with OpenTable is now available for Android users. The service, which is somewhat limited in availability as of right now in certain markets, allows diners to pay their check without having to wait for the waiter or waitress to come with the check. To pay, you will have needed to book your dinner or lunch through the OpenTable service, have a credit card on file, and that’s it. When you have finished dining, simply open the app, which is synced with the restaurant’s POS, and pay your bill. When the staff has closed your bill, you will receive a notification and receipt. In order to do all of this, you will need to download the OpenTable app, naturally. Go grab it, then get to dining. And if you happen to be in the Portland, OR area, might I recommend Gruner? They have a burger you must try. SAN FRANCISCO – March 24, 2015 – OpenTable, the world’s leading provider of online restaurant reservations and part of The Priceline Group (NASDAQ: PCLN), today announced that its Pay with OpenTable mobile payments feature is now available for Android. To pay with OpenTable, diners who book at participating restaurants simply add a credit card in the OpenTable Android app before they dine and can then view and pay their check with a few taps. There’s no separate app to download; no codes to enter; and no scanning or barcodes involved. 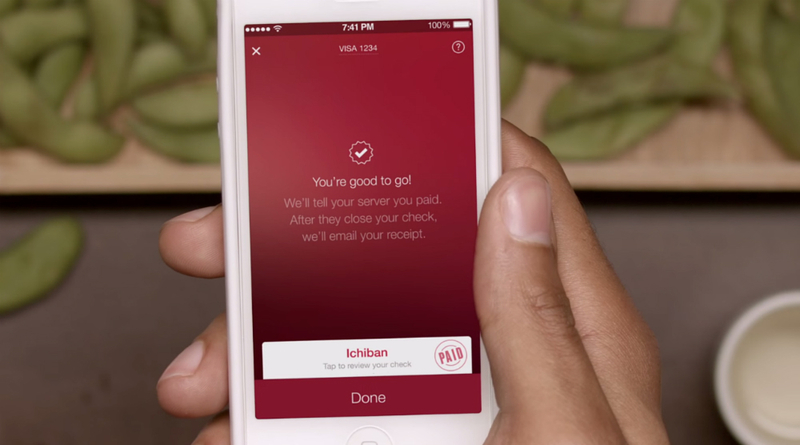 Diners who pay with OpenTable simply get up and go whenever they’re ready. Pay with OpenTable is currently available in select cities and restaurants across the U.S. To learn more about OpenTable mobile payments, watch “Life’s too short to wait for the check” and visit http://pay.opentable.com/ to view the current list of participating restaurants. Restaurants who are interested in providing their guests with the experience of paying with OpenTable can learn more at http://pay.opentable.com/restaurants.